Designing for Behaviour Change – This is K-Tiv. 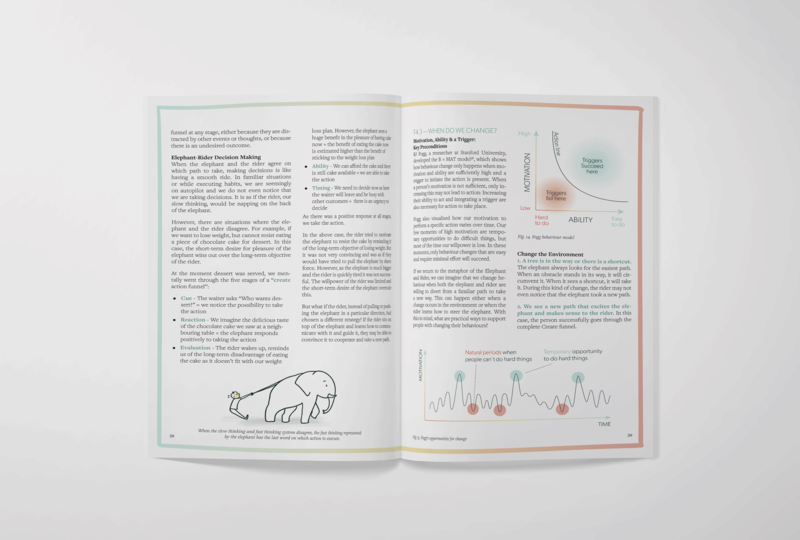 K-Tiv was responsible for the layout, illustration and copyediting of the first edition of ‘A Changemaker’s Guide to Designing for Behaviour Change’, a publication aimed at unleashing positive social and environmental change by providing social entrepreneurs with tools, tips and guidance from the field of behavioural science. We supported the author, Majka Baur, a Swiss social entrepreneur working with the charitable organisation scaling4good.